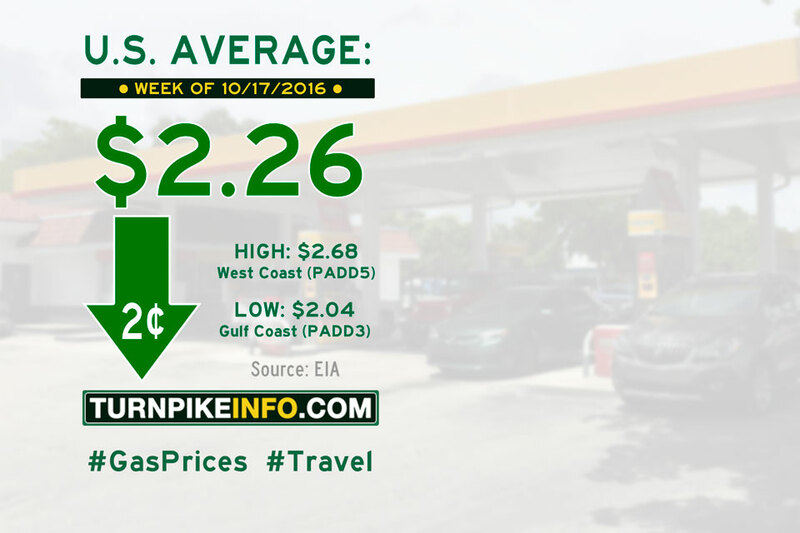 Fort Lauderdale, FL – The price of gas finally tipped downward this week, but only just. A drastic price decline in the Midwest served to distort prices in a week where most drivers actually saw price increases. The cost of fuel, nationwide, dropped about a penny and a half to settle at $2.26, according to the weekly fuel price survey by the U.S. Energy Information Administration. The E.I.A. report shows a near-seven cent decline in prices across the Midwest is largely responsible for the pull on the national average. Elsewhere, prices were either flat or up about a penny. Prices across the Rocky Mountain states were up nearly three cents. The cost of diesel went up strongly on the week, putting more pressure on haulers. The weekly E.I.A. price survey shows diesel shot up almost four cents per gallon this week, and now sits at $2.48. That is a nearly ten cent increase in just two weeks.